The second edition of LaGuardia Faculty Publications continues to highlight the diversified scholarship of LaGuardia's faculty. It includes information on books and articles provided by the faculty. Publication dates include the period from 1968 to 1995. The citations are arranged alphabetically under the author's name. They have been formatted according to the third edition of the MIA Handbook for Writers Research Papers. The standard MIA abbreviation for no pagination (N. pag.) has been used in the citations when information was not available. Special thanks to Mildred Velazquez for entering the information into the database and John McColl for the cover design. 57 p.
Lewis, C. (Comp.). (1995). 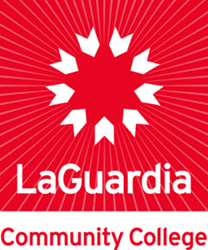 LaGuardia faculty publications (2nd ed. ). Long Island City, NY: Library Media Resources, LaGuardia Community College.